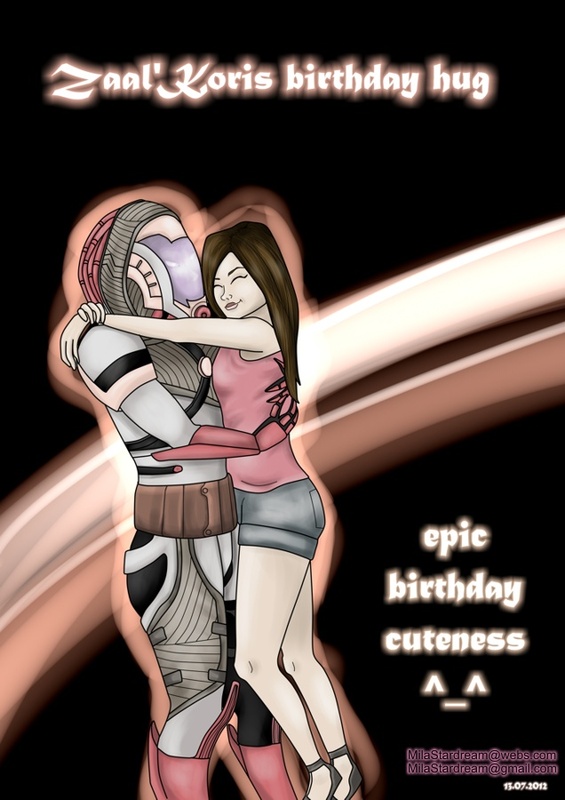 This is another silly hug picture I did for my own birthday. I am hugging Admiral Zaal'koris of the Quarian fleet. Mass Effect fan art. Done on the 12th of July 2012.